Reference’s chat has been revived. Chat is easier to find than ever – as we continue to upgrade all library website pages to the new look, you’ll see a chat window on right side of the pages, along with our news [blog], and hours links. Plus, here’s a DIRECT LINK to the Chat page. Back-ups: remember, you can always use our reference email service or call 812.237.2580. Reference’s chat seems to be very unhappy. Until we can figure out the problem, use our reference email service or call 812.237.2580. The Indiana State Library [no, not the ISU Library!] has recently renovated a space on the second floor of the library, and created a Browsing Collection. The collection contains some of the newest and most popular items from the closed stacks, for patrons and state employees to browse and check out. The space is a great place to relax during the lunch hour or any free time. Patrons can catch up on James Patterson’s books in our large print collection or read about the history of Indiana breweries, the Colts, and more local topics from items in our Indiana collection. History buffs can find several new books of interest in our General Collection. The Browsing Collection large print fiction is organized in alphabetical order by the author’s last name, the rest of the collection is arranged by the call number, subject-based sections. 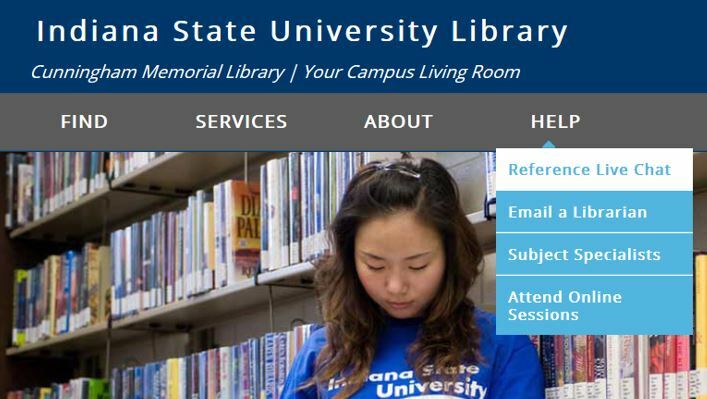 Indiana residents can get their Free Indiana State Library card at the Circulation Desk located on the first floor of the Indiana State Library, 315 W. Ohio St, Indianapolis, IN 46202. All you need to obtain a library card is a picture ID, and proof of your current address. The borrowing period for this collection is 3 weeks. This collection will continue to grow in the future, so be sure to stop by on a regular basis. The library staff looks forward to seeing you soon. Where have all the printers gone, long time passing…. The student printer in the Basement has been moved to the 3rd floor. Printers are now located on floors 1, 2, and 3. The basement printer was not being used very much for a number of reasons. We’re hoping the “higher” profile will take some of the burden off the first floor printers. 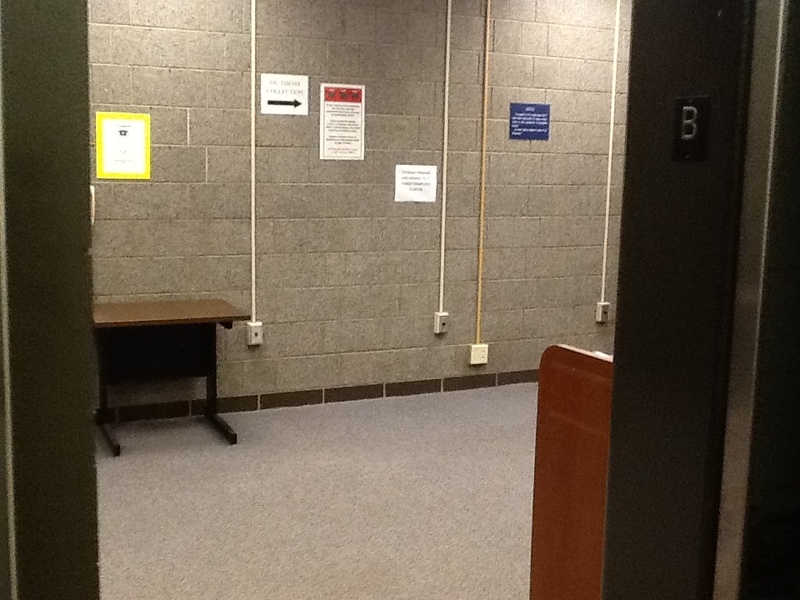 There will be signs in the basement indicating the new location, but library signs, web pages, etc. will be updated in the days to come. Where once there was a printer… whoosh to the 3d floor! Here’s a list of eight places where you can find a wealth of free (yes, free!) e-books. What is happening? New Wireless ISU-GUEST system to be released, older ISU-OIT-SPONSORED system to be retired. When is this happening? The early morning of July 21, 2014 the new wireless environment ISU-GUEST will be released to campus. The early morning of August 13, 2014 the old ISU-OIT-SPONSORED system will be retired. Who is impacted? Visitors to the campus who need wireless internet access without a Sycamore Username and Password and sponsors of visitors. Why is this work being done? This system contains various security and product enhancements which resolve many issues found with the legacy system. How will this work impact me? Once enabled users will see a new wireless network available ISU-GUEST. 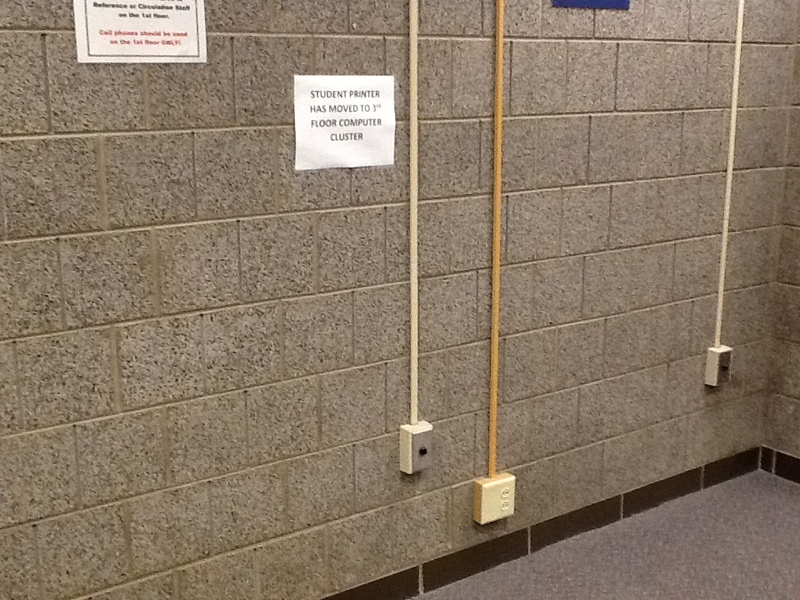 Visitors to campus should be instructed to connect to the new wireless network. For a brief period of time the 2 systems will overlap to allow for a short transition period. How should we understand the value of academic publications? How should we understand the value of academic publications? That was the question addressed at the ALA Annual Conference last month during the SPARC/ACRL Forum. “Attention, Intention, and Value” > Blog entry by Kevin Smith, Duke University’s first Scholarly Communications Officer. Kevin Smith’s principal role is to teach and advise faculty, administrators and students about copyright, intellectual property licensing and scholarly publishing. On June 5th, the library was the first on campus to receive the new printers that are now being installed all over campus. The printing process on the new machines is very similar to the one that the old printers used. So far users are catching on very quickly and have had little trouble using the new system. It is surprisingly fast and quiet when printing, so make sure you look under the key pad to retrieve your print job. One of the great things about these new models is that you can print at any printer from either the color or black and white queue. 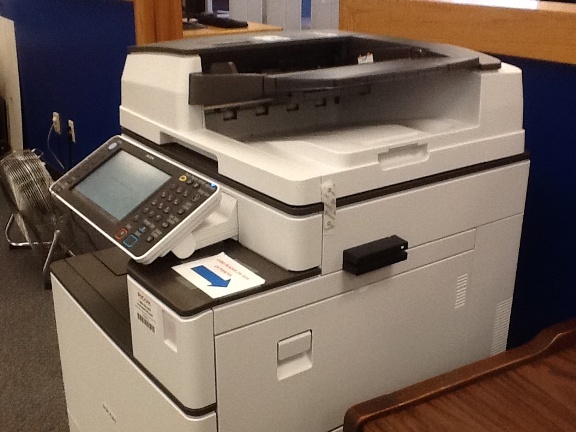 No more waiting in lines for the only color printer in the library! The price per page is set when you select either Student_Color ($.15) or Student_BW ($.03). 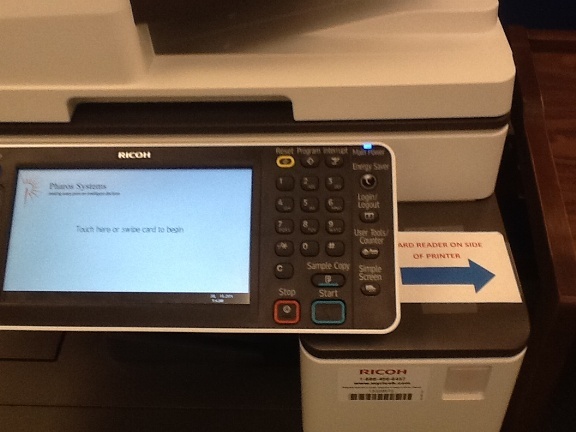 The printer also has the equipment to scan and copy to your email, however, this function is currently turned off while OIT and RICOH work to make the function more user friendly. 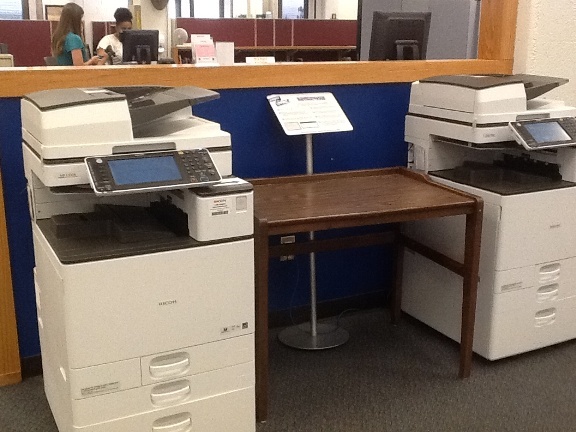 Scanning and coping will still need to be done at the public copier or using the scanners on the 1st floor. Swipe your student ID on the right side.